Climb every mountain, ford every stream, follow every rainbow, till you find your dream cast! Broadway alum Ben Davis and newcomer Kerstin Anderson will headline the previously announced tour of Rodgers & Hammerstein's The Sound of Music, as Captain Georg von Trapp and Maria Rainer, respectively. Directed by two-time Tony Award winner Jack O’Brien, this brand new production of The Sound of Music will officially launch at the Ahmanson Theatre in Los Angeles in September, before continuing to cities across the country. In addition to Davis and Anderson, The Sound of Music will feature Broadway favorite Ashley Brown (Mary Poppins) as The Mother Abbess, Merwin Foard as Max Detweiler, Teri Dale Hansen as Elsa Schraeder, Dan Tracy as Rolf and Paige Silvester as Liesl. 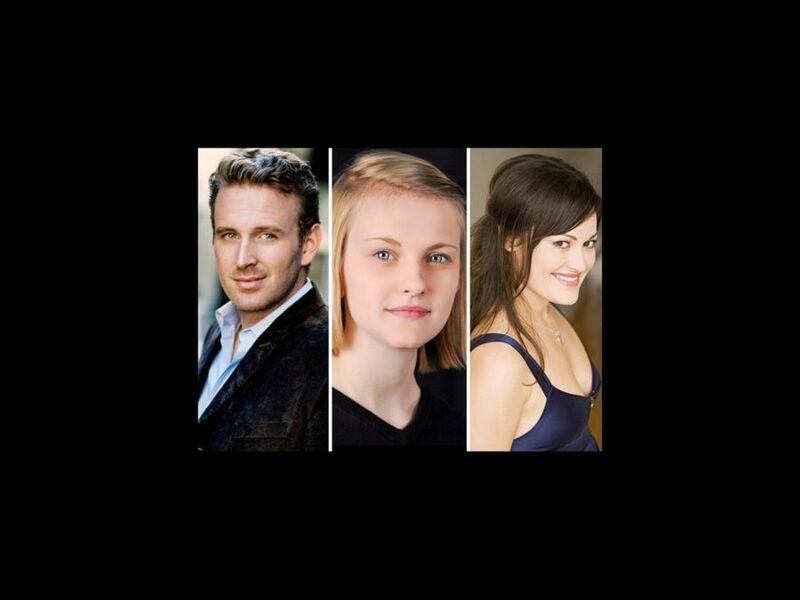 The von Trapp children will be played by Erich Schuett (Friedrich), Maria Knasel (Louisa), Quinn Erickson (Kurt), Svea Johnson (Brigitta), Mackenzie Currie (Marta) and Audrey Bennett (Gretl). The ensemble includes Carey Rebecca Brown, Ron Brown, Caitlin Burke, Christopher Carl, Kyla Carter, Austin Colby, Daniella Dalli, Elisabeth Evans, Donna Garner, Meghan Hales, Adam Hill, Jenavene Hester, Jeremy Lanuti, Darren Matthias, Kelly McCormick, Julia Osborne, Andrea Ross, Brent Schindele and Jim Schubin. Featuring music by Richard Rodgers, lyrics by Oscar Hammerstein II and a libretto by Howard Lindsay and Russel Crouse, The Sound of Music tells the story of the musical von Trapp family and the nun who becomes their nanny and eventual step-mother. Set in Austria on the eve of World War II, the score includes favorites such as the title song, “My Favorite Things,” “Do Re Mi,” “Edelweiss” and “Climb Ev'ry Mountain.” This new production will feature scenic design by Douglas Schmidt, lighting design by Natasha Katz and sound design by Ken Travis. The show's original Broadway mounting earned it the Best Musical Tony Award and the film based on the show won five Academy Awards including Best Picture. The Sound of Music Live!, starring Carrie Underwood, Stephen Moyer, Audra MacDonald, Laura Benanti and Christian Borle, aired on NBC in December 2013 to huge ratings.